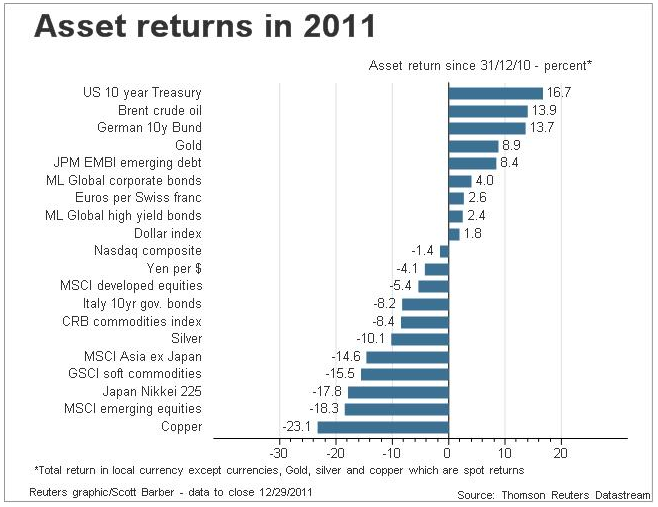 The following shows the annual asset returns for 2011. The big winner? 10 year US treasuries at 16.7%, which are currently in the final stage of a bubble mania. Gold finished up for the 11th year in a row at 8.9%.